This 15 minute skillet dinner came from a cookbook printed by my county. Using only a couple of chicken breasts and a store bought box of inexpensive mac-n-cheese, I decided to give it a trial run. 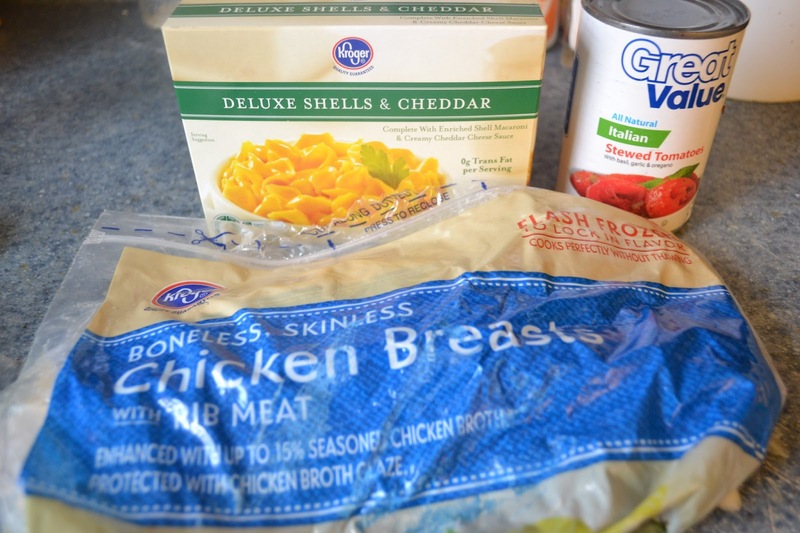 I liked that it was an easy way to stretch those last few chicken breasts from the freezer that won't be enough on their own for dinner and it also makes a box of convenience mac-n-cheese into a healthier dinner. 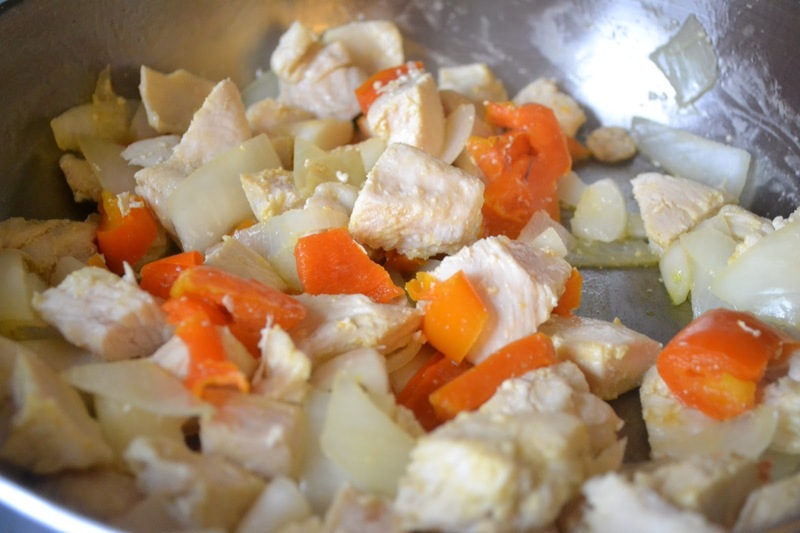 Add chicken, onions and peppers, and cook for 5-7 minutes over medium-high heat. Stir occasionally, until chicken is cooked through. Stir in entire can of tomatoes, including all the liquid. Fill empty tomato can 1/2 with water and add to skillet. Open box of mac-n-cheese. 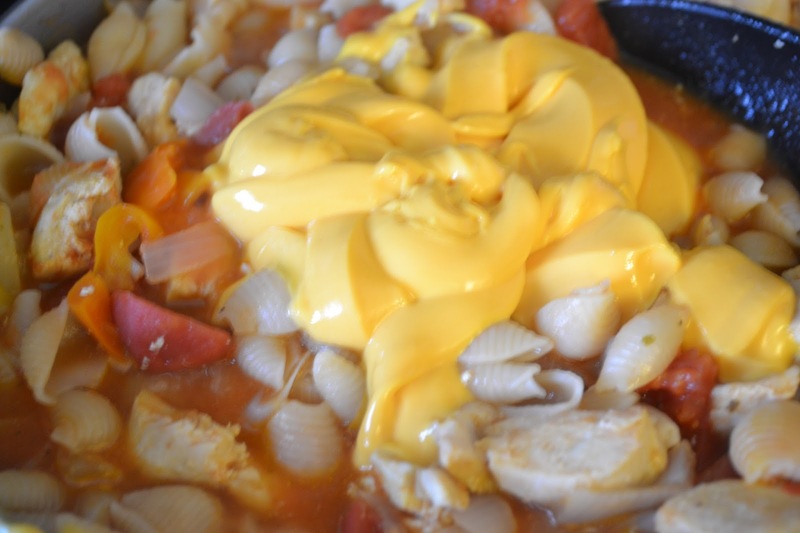 Remove cheese pouch and set aside till later. Dump macaroni from box into skillet. Stir well, mixing the pasta down into the liquid. Reduce heat to low and cover skillet. 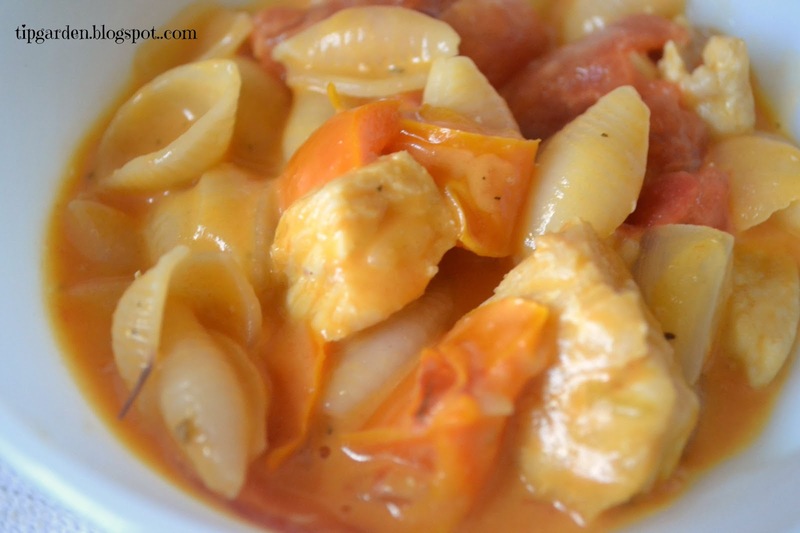 Simmer for 10 minutes or until macaroni is tender, stirring twice. Stir in cheese sauce until blended.